April 16, 2019 | Dunleavy’s appointees finally have their day in the Legislature. Here’s your guide to the most controversial. 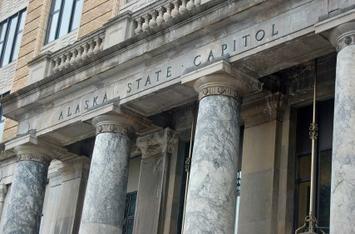 Eliminating expansion would also boot more than 50,000 low-income Alaskans off coverage. The House broke the 22-day record for longest time without a permanent speaker, the efforts for a large bipartisan majority seem to have fallen apart and everyone took one last pre-budget swipe at the budget. Instead of ensuring the changes would lower the crime rate, legislators worked on justifying the costs. The plan would reduce future dividends and increase the risk the account could be zeroed out. A third appointee of the Dunleavy administration is out. The proposed cuts highlight the risk with relying one Legislature to keep the promises of another. The second week of the 2019 legislative session was a lot like the first. The ninth legislative day also featured the introduction of the much-awaited legislation to name the Common Raven as Alaska’s state bird. Informal meetings, early confirmations and the governor’s state of the state are on this week’s agenda. Things are off to a rocky start. Dunleavy’s appointees finally have their day in the Legislature. Here’s your guide to the most controversial.